Although it’s not as widely recognised, perinatal depression and anxiety affects up to 1 in 10 dads. When a baby arrives fathers often experience increased stress due to a number of factors including extra workload with a new baby, a partner who may be unwell physically or emotionally, witnessing a birth trauma, changes in the couple relationship, financial stress and change in identity. 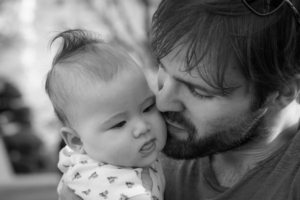 There are many other reasons why dads may find adjusting to parenthood a challenge and support is available through PANDSI (Post & Antenatal Depression Support & Information Inc.). PANDSI offers dads an opportunity to learn about strategies that help themselves and their partners modify unhelpful thoughts and adjust to the many changes taking place. PANDSI also offers regular Dads Information Nights which are held throughout the year. These represent an opportunity to learn what is going on for their partner and meet others at the same stage in life.